The last time the Faisal hosted an international match the state of the pitch was the main talking point. 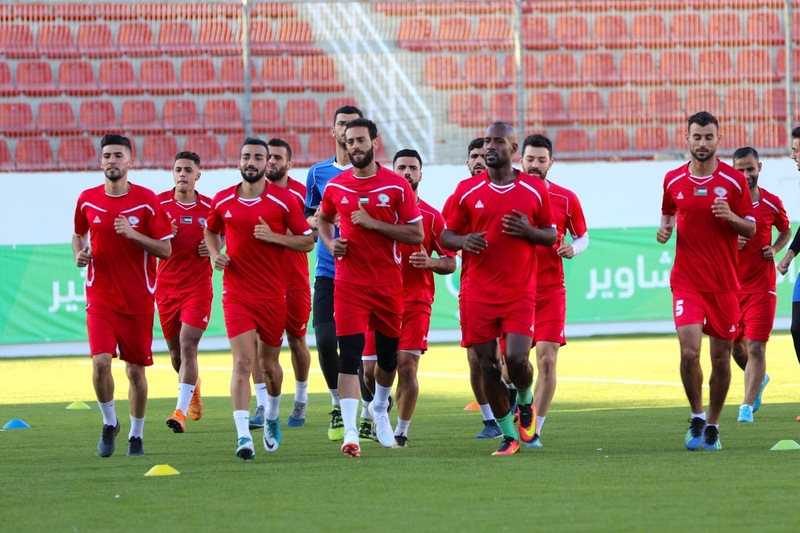 Despite the torn up 3G pitch, Palestine vs. Oman went ahead as planned with Al-Fida'i running out to an early 2-0 lead and holding on for a famous 2-1 win. The following month, the AFC withheld its agreement for the ground to host games and the AFC U23 Championship qualification games were shifted to Hebron's Dura Stadium. Fast forward a year and Palestine's national ground is finally ready to host big games. The pitch is green and from a distance could even pass for grass. The seats in the stadium have been replaced; gone is the horrible and out of place blue-yellow-red hue, in its placed a punchy red with Falasteen spelled out with white seats in the grand stand. 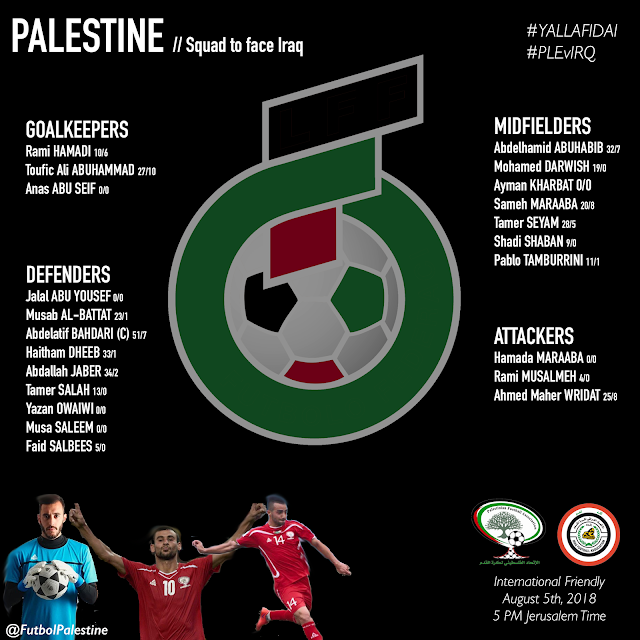 Typically, an internationally friendly not within FIFA's stipulated dates would not pose a challenge to Palestine as most the players would have been based locally. A flurry of transfer activity has changed that, as has the Olympic Team's commitment. Manager Nouredinne Ould Ali has been able to secure the release of Ahmed Maher Wridat and Tamer Seyam from their new club Hasania Agadir. Other than the Moroccan duo the entire squad plays locally. The absences have handed a chance for two former stalwarts to reassert themselves. Abdelhamid Abuhabib returns, having last played for the national team in November 2015, as does Pablo Tamburrini, who had not featured for the national team in over a year and suffered an injury that kept him out of football for the entirety of 2018. Palestine's problem position remains in the heart of defence. For the last four years, when Haitham Dheeb and Abdealtif Bahdari could be partnered together the results were generally positive; they posted a clean sheet in their first game together- a 0-0 draw vs. Mauritania in a 2010 friendly but did not start the same game until the 2014 Challenge Cup Final. The duo have posted another seven clean sheets since in 13 games- a stretch that featured 9 wins. Unfortunately, the national team played 34 games since that famous win in 2014 and the results when one has been absent- particularly Dheeb- have been less than convincing. The task for the long term is to identify a crop of center backs that can deputize for Dheeb and Bahdari who are now both on the wrong side of 30. Mohammed Saleh's ascent in early 2018 saw him move to the Maltese league and he looks to be the first option if either starter is incapacitated. It will now fall to the uncapped Jalal Abu Yousef and Mousa Saleem to make an impression and unseat Tamer Salah who was at fault for both goals in the friendly vs. Kuwait. On the other side of the pitch, there's a chance for the WBPL to stake a claim to the striker position with club commitments keeping the likes of Matías Jadue, Mahmoud Wadi, Yashir Islame, Dani Schahin, and Mohammed Balah out of the side. Iraq began 2018 with renewed hope. Their attempt at qualifying for the World Cup might have ended in failure, but the next phase signaled promise. Several new stadiums had been constructed around the country and FIFA had given its blessing for the country to host matches. Then came the news that the IFA were close to hiring the svengali Sven Goran Eriksson as their next national team manager. It seemed that Iraq would be in position to compete at the Asian Cup and parlay that into a successful 2022 World Cup cycle. That is when the house of cards came crashing down. Several members of Iraq's U17 national team were arrested at Baghdad's airport trying to leave the country with falsified passports which they had used to be eligible for youth competitions. Sensing that the jig was up, Iraq's FA withdrew the Olympic Team from the upcoming Asian Games and in the midst of the commotion Sven Goran Eriksson rescinded his candidacy for the national team job. To make matters worse, Iraqi players were denied entry into Palestine by Israeli forces at the border leaving the team to train in Jordan. Latest reports say they will finally cross early Friday morning- roughly 40 hours before kickoff.